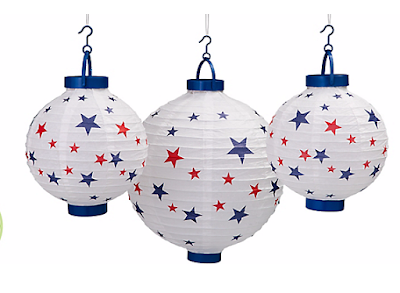 After Thanksgiving, the Fourth of July is probably my favorite holiday. It's one of those low-key holidays that's all about food, family, friends, and fun. What's not to love about that? 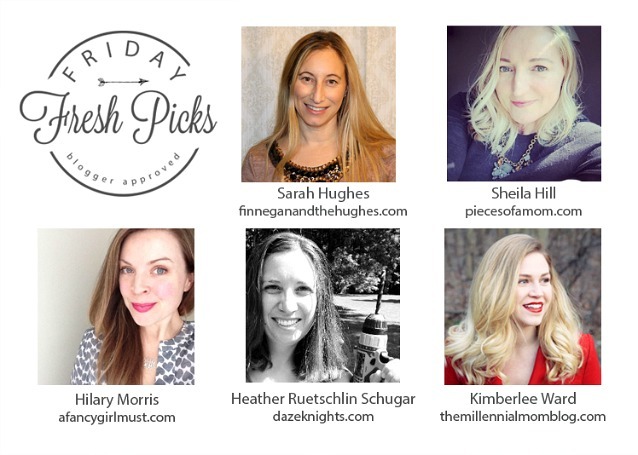 As we are gearing up to celebrate next week, I've been planning festive meals, decorations, desserts, and games to enjoy on the day. 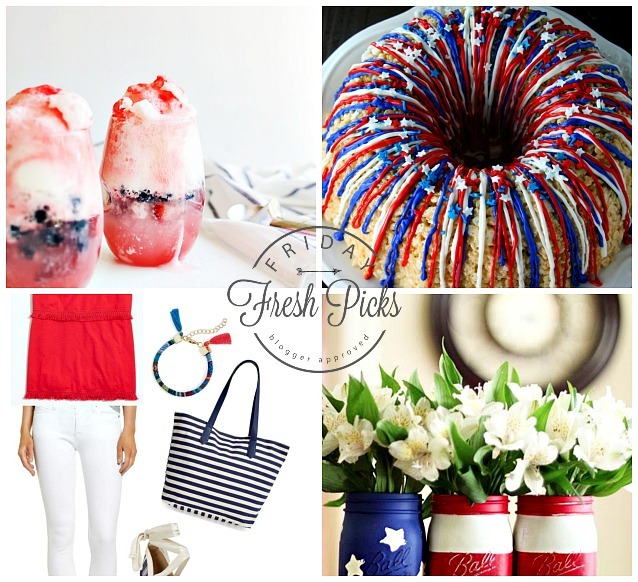 In this installment of Friday Fresh Picks, I'm sharing a few of my favorite Fourth of July-themed items. Let's not beat around the bush. Wine is an important part of the festivities. 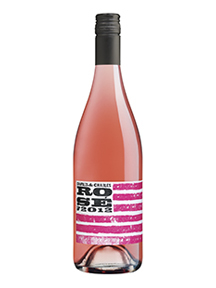 You're really not going to get much more patriotic than this rosé from Charles and Charles rosé with an American flag label. 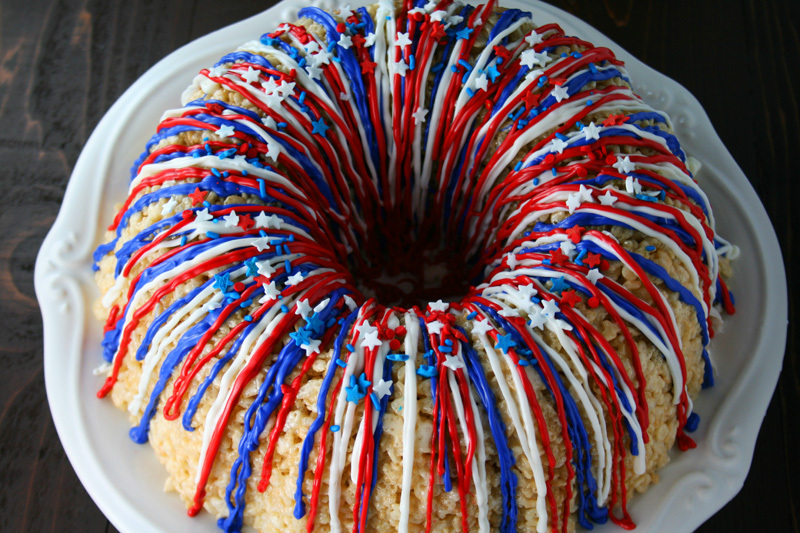 For a twist on an old favorite, try a Rice Krispies treat cake. How cute is this? And it's super easy. 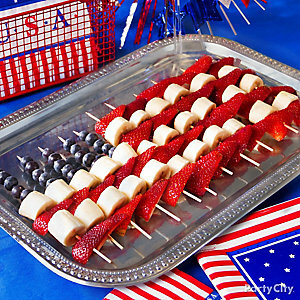 If you're skipping the sweets but opting for something healthy, try this fruit flag comprised of strawberry, banana, and blueberry kabobs. I love making chocolate dipped pretzels and these are super fun because of the different colors and decorative sugars and candies. Just when you thought Mason jars couldn't get any better, this decoration comes along. 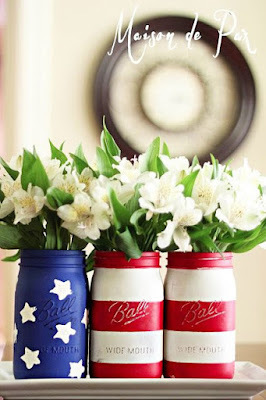 You can use them as vases (as shown) or fill them with plastic utensils for your picnic or barbecue or fill them with sparklers and have the kids grab, light, and twirl! 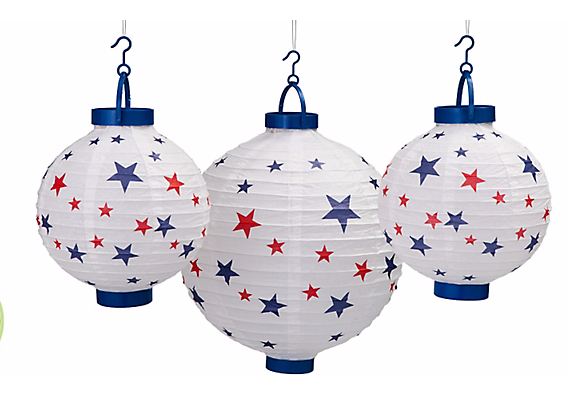 These paper lanterns are a cute alternative to typical banners. Also available in solid colors. 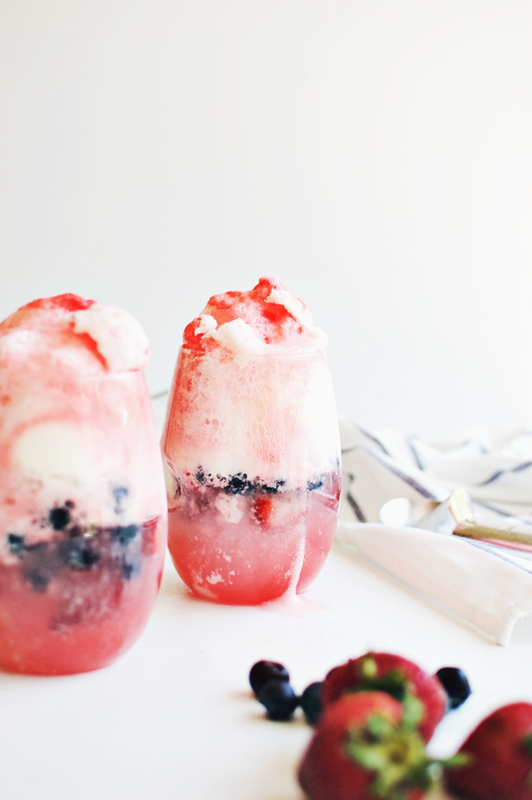 While you may be envisioning the parade floats, I've got ice cream on my mind. I mean, it is summer, after all. I'm definitely going to be mixing up these floats at some point over the weekend. 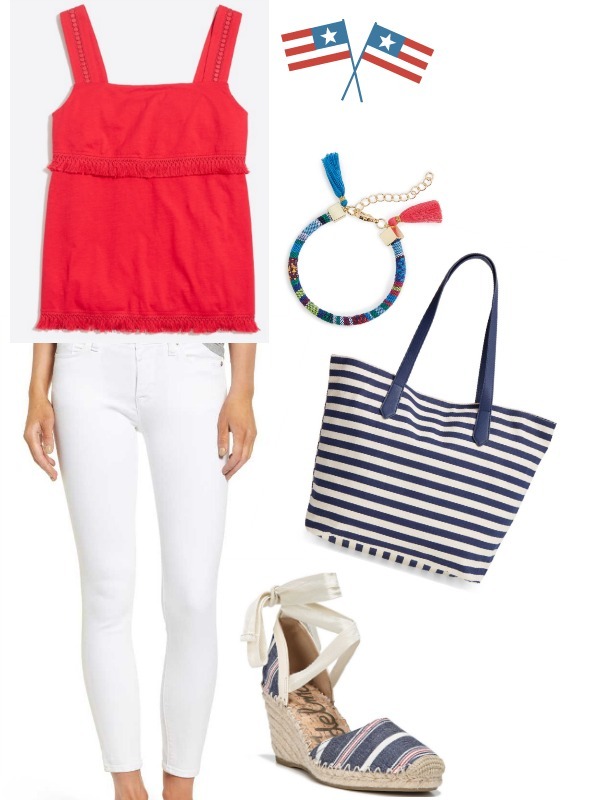 I like to keep it casual on the Fourth of July, but still look stylish and festive. This outfit is all of the above without looking too overdone.